Order in the next 12 hours 50 minutes and it will ship today! Our bulk pack of premium bottle sparklers are perfect for cake and dessert presentations, as well as champagne bottle service! Our bottle sparklers measure approximately 7.5” long x .5" in diameter, and burn for about 45 seconds with a 6” to 9”, near-smokeless, sparkling, gold flame. Plus, these sparklers feature a spike tip on the bottom of the sparkler for ease of use in cakes and other dessert items. For bottle service, use one of our Bottle Sparkler Clips or 3-Way Clips to attach the bottle sparklers to the neck of a bottle for an incredible presentation, or use them for dessert presentations as birthday cake sparklers or wedding cake sparklers with the attached spike for a dramatic effect! These are also sometimes referred to as ice fountains or champagne sparklers. Our Bottle Sparklers / Cake Sparklers are a memorable addition to any event! 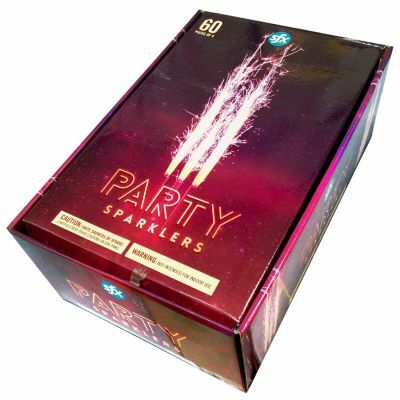 Each bulk pack contains 60 packs of 4 sparklers, for a total of 240 sparklers. 88.5% of respondents would recommend this to a friend. Superior Celebrations has done their research and taken their time to offer the best cake/bottle sparkler on the market. 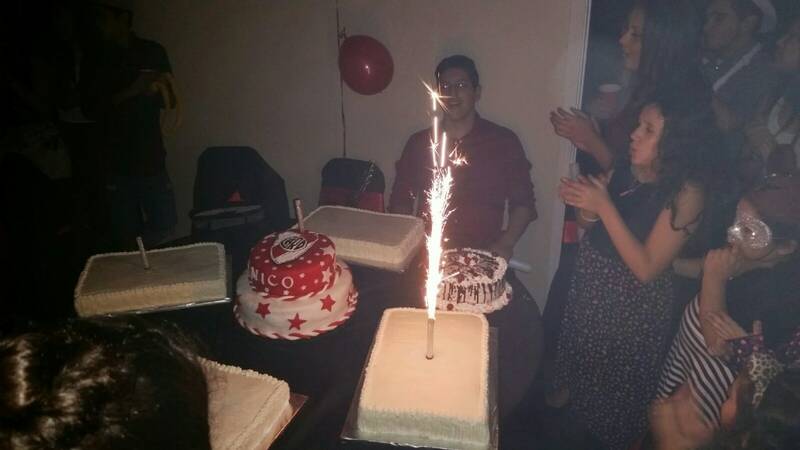 Dont be fooled into buying smaller size cheaper cake sparklers elsewhere, that usually burn out before youre done singing happy birthday and snapping a picture. Capture the moment with confidence using the best quality sparkler. This item is the correct size, superior quality and a great price. I am a party planner and see many different sparklers. This item is by far the best!!! . I buy this bulk pack twice a year to celebrate birthdays and anniversaries​ at the Bourbon O Jazz Bar on Bourbon Street. We light them from our table candles then slip them in a Collins glass for the guest to hold while the band sings Happy Birthday. Excellent customer service feedback from my customers. This product is a great price for the amount of sparklers. My customer love it, but the plastic part must of the time is loose and we have to attached together with hot glue. I would by this product again. I would by this product again. They were used on champagne bottles for table service. Everyone loves that sparkle. We bought these for our birthday celebrations and they are perfect. Only issue is that the red stand on the bottom is loose on some of the sparklers so make sure you tighten them before putting inn the cake or they will be left behind when you pull the sparkler out. Excellent customer service! Helped me w delivery problems. I continually purchase this item. I continually purchase this item. Very visually appealing to the guest. Candle sometimes leaves some residue on cake. My company use these candles to wow our guests at birthday parties. Now this is a Candle!! Now this is a Candle!! Great addition to our catering operation. Will buy again. Great addition to our catering operation. Will buy again. Great addition to our catering operation, big hit with our clients. Adds the wow factor. Exactly As Advertised! Exactly As Advertised! Exactly as advertised! Very pleased! Will order again! Too dangerous to use indoor as stated on box. The product works as described, we use it for bottle service and the time on them are perfect. I will buy this item again! Great quality! I will buy this item again! Great quality! They Last long and the length is perfect ! Customers love them! Customers love them! We put these on our cakes for anniversaries and birthdays at the restaurant. 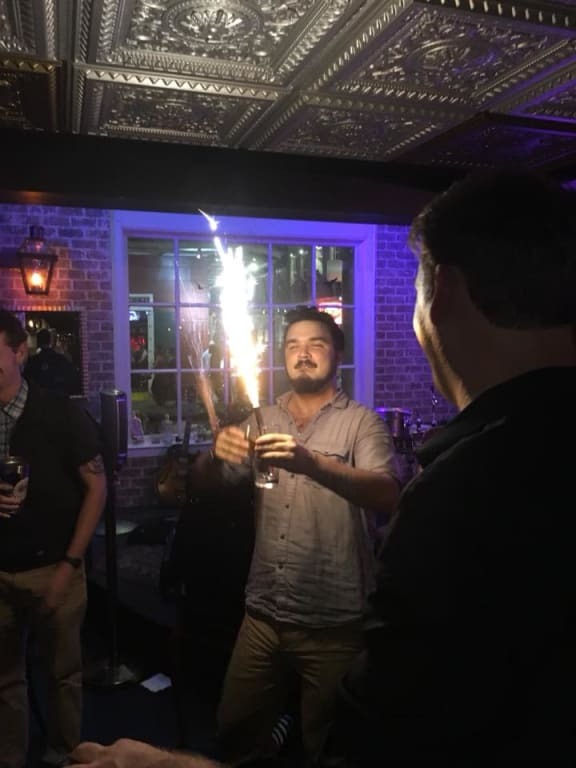 Customers love the sparklers. They last just long enough to give the presentation desired. I love that it gets shipped the same day I buy it. I like using the tracking # to watch my package travel across the country. The time of delivery and who signed for it is great. Merchant Response: This review refers to an alternate version of this product that we temporarily carried mid-2015 during a nationwide supply shortage. We were waiting for final details of a regulatory update that affected this product category, and had to delay manufacturing until the ruling was final. In the mean time, the longer 45-second version sold out, so we offered a smaller version that lasted approximately 30 seconds as a stop-gap to minimize disrupting service for our customers. Our product listings were updated to reflect the smaller size and shorter burn time of the product at that time. Best price we've found across the internet. Very straightforward- what you see is what you get. We will be purchasing from them again. Everyone lost their minds when this was sparkling on the birthday cake. One gets the job done. Remind the birthday girl/boy not to even TRY to blow it out. By Jon Paul From Queens, NY. I would buy the sparklers again & again! I would buy the sparklers again & again!